JC writes…….I’m delighted that The Robster whose wonderful own blog Is This The Life? continues to educate, inform and entertain on a daily basis has come up with today’s posting. It’s a belter…..with a great piece of artwork too. This whole Imaginary Compilation has really got my tired old brain working again. I’ll often hear a song by a band I love and think: “Hmmm… I wonder what I’d put on an imaginary compilation…” Yeah, that’s the kind of life I lead, folks. I did vow to leave well alone after my last contribution as I didn’t want to hog things. This is JC’s blog, after all, and I’ve got my own (not that many have noticed…). Trouble is, they just keep coming – and JC being the top bloke he is seems happy to accept them. So I’ve done a few more and it’s up to my Scottish friend to decide which ones, if any, he sees fit to publish. This one is inspired by me just buying tickets to see The Charlatans for the first time in some 25 years! They’re playing at a brand new venue in Cardiff in December so it was a no-brainer for me. They’ve long been a fave band of mine, although their more recent material has been rather patchy. The latest album, Modern Nature, has taken a while to grow on me, but I’ve become rather fond of it. Really looking forward to the show now. In the meantime, I’ve had a lot of fun trying to put together a career-spanning selection of ten choice cuts from the Charlies catalogue. The ones that didn’t make the final list would have made a fine album in their own right, but this is what I finally ended up with. One of the best noises on any record. Weirdo was the lead single from the Charlatans’ second album and was the best thing they’d done up to that point. It slapped me around the face like a wet kipper before cheekily skipping off, enticing me to chase it. I followed it of course and fell for its cheeky charms. It’s still one of my fave tunes by the band. A remarkable track for numerous reasons. It was the last track to feature keyboard player Rob Collins who was killed in a car crash while the band recorded the Tellin’ Stories album. It really is a career high-point, and one they’ve never really quite topped. It reached number 3 in the UK charts and remains their biggest hit. MrsRobster has just secretly filmed me bopping away to it as I write this. Unforgiveable in my book, but an indication of how One To Another really grabs me. The rare version I’m including here was distributed to US radio stations. The Charlies’ third album marked a shift in styles. The guitars were somewhat louder and there was quite a bit of experimentation involved. Can’t Get Out Of Bed was an obvious single, though typically it really underachieved chart-wise, stalling at #19. Now this is just BRILLIANT! ‘Wonderland’ was where the Charlies went funk and Tim Burgess adopted a Curtis Mayfield-type falsetto. The fact Judas was overlooked as a single is a crime, in my opinion, and I’m usually right about these things. It’s one of Tim’s faves too. It has a serious groove, a big phat bassline and some really cool guitar sounds. Wonderland is my favourite Charlatans album, and this is probably the reason why. Probably the band’s most famous song, but done in a completely different way. The Only One I Know was their first hit, hitting the dizzy heights of #9 in 1990. It’s one of those tracks that has become synonymous with the Madchester scene they became part of (though they were at pains to remind us they were actually from Northwich and were formed in the West Midlands!) This acoustic reworking featured on 2011’s Warm Sounds EP and is really rather lovely, throwing a completely new light on the song behind those 90s Madchester vibes. A few months before that first hit, the Charlatans announced their arrival with Indian Rope, an ambitious debut that relied heavily on Rob Collins’ funky organ sound. It hinted at something a little different to the rest of the scene at the time. Sure, the Inspiral Carpets were an obvious comparison, but Indian Rope suggested the Charlies were more about the groove. It still sounds good nearly 26 years later. Although the last few albums have not really excited me in the way their previous works had, their latest effort – the first since the death of drummer Jon Brookes – has survived my initial scepticism owing to tunes like this. It’s a warm-sounding record that seems to subtly make the point that the Charlatans are far from finished. Can’t understand why this was never a single. Up At The Lake had some really good songs on it and this was always one of my faves. I love the bit when Tim shouts. It’s not something he does, so it was something of a surprise to hear him let go on this track. There are so many good tracks on the Charlatans’ self-titled fourth album it was difficult to choose one which represents it. It’s regarded as one of their best records and rightly so. Here Comes A Soul Saver is a stormer, and this BBC session version has a bit of extra edge to it that comes with the live setting. It’s not a Charlatans gig if it doesn’t end with Sproston Green. The closing track on the debut album has remained a firm favourite of fans all this time, and live it still thrills. Although it wasn’t put out as a single in the UK, it did get a US release and it’s the 12″ version I’m using to round off my Charlatans comp. The Charlatans show in Cardiff looks like being my last gig of the year. It could be a hell of a one to go out on. Good selection. Nice to see some love for indian rope. I would have to find space for Forever. But all good. Earlier this year, a friend of mine asked “What’s that song, it’s about twenty years old, don’t know who it’s by, but it starts ‘Chugga-chugga-chee, chugga-chugga-chee’?” I suggested Weirdo, and (after he’d YouTubed it to satisfy himself) he was amazed by my knowledge. But that intro is so engrained, what else could I have said? Also, love Indian Rope. A cracking compilation for a cracking band, from a cracking guest blogger, on a cracking blog. Best I crack on. Tim, I with you on Forever…. Really like this imaginary comp. Lots of favorites, but new things I’m not familiar with. And it’s a good job taking 10 songs from 10 different releases. Thoughtfully and nicely done. There is an instrumental track on the third album that I love. I’d have to include that. I forget its name though. Great selection. The two I would have to find a way to include are Then and (No One) Not Even The Rain. Thanks, Robster. A band I haven’t explored all that much but have always been curious about. Just the jumping off point I needed. No One (Not Even The Rain) is ace, I’d forgotten about that one. I’m currently playing this ‘album’ through for the second time – it’s a fine compilation and a hugely enjoyable listen. ‘Modern Nature’ is one of my albums of the year and ‘Let the Good Times…’ isn’t even among my favourite tracks – still great though, I’d probably take ‘So Oh’ or ‘Come Home Baby’. As for others that spring to mind… ‘Just Lookin’, ‘Just When You’re Thinking Things Over’, ‘My Beautiful Friend’, ‘Tellin’ Stories’….oh hell, I feel a Volume 2 coming on! confession time. I think the Charlatans could potentially have been one of my top bands of all time yet… The only time I really was on the same page as them was for Tellin Stories. i love and adore that album. It is the only Charlatans album I ever purchased yet ever time I hear a Charlatans track I am impressed. go figure? I think I invested more time on lesser talents at the time. just going to listen to this compilation now, thanks for posting. Really excited to hear these tracks actually…. Always seems churlish to question these, as they are peoples personal collections. 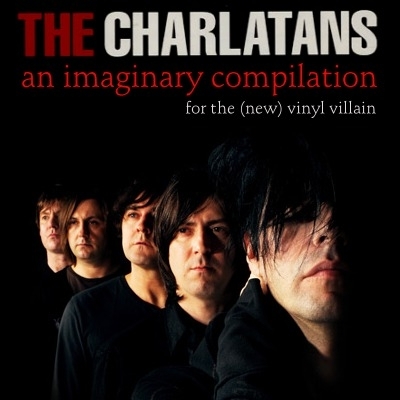 BUT any Charlatans compilation has to start with Forever, just as important as it ending with Sproston Green. A Man Needs To Be Told – sublime! Wonderland is also my favourite Charlatans’ album. Actually, Just When You’re Thinking Things Over, Just Lookin’, Don’t Need A Gun…….so many, many more! !